Huge fun to drive with great handling, zesty performance from turbocharged 1.4-litre engine, plenty of scope for personalisation. Rather bouncy ride, first cars only available with semi-auto transmission which isn't great in automatic mode, poor rear visibility. 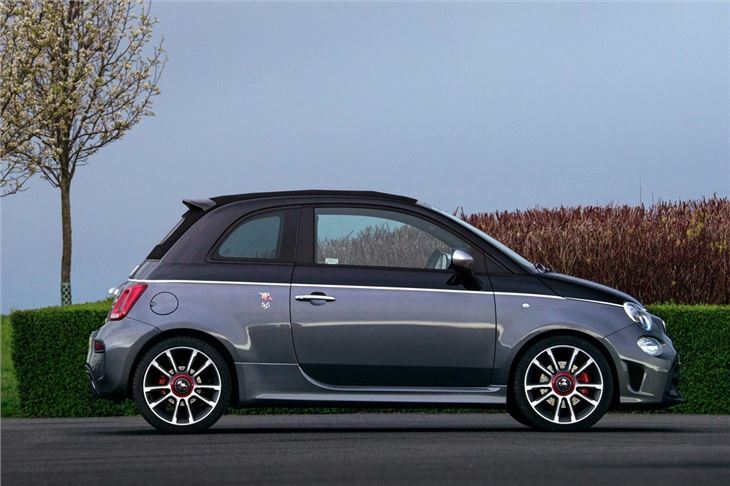 Since it hit the UK in 2008, the Abarth brand caught the imagination of drivers looking for something exclusive, stylish and sporty. 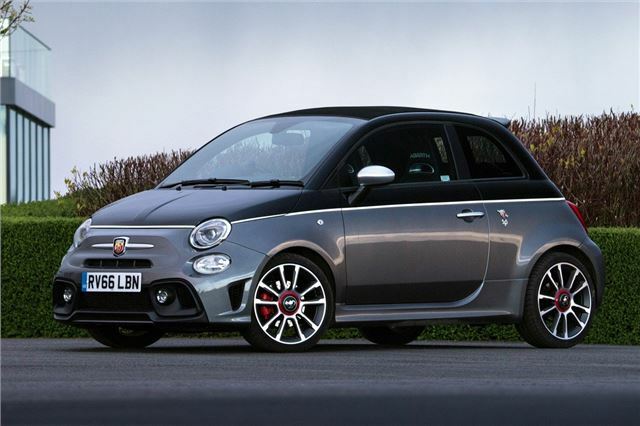 Sales of the Abarth 500 and the Abarth Grande Punto have exceeded the firm's expectations and so introducing an Abarth version of the chic Fiat 500C is an obvious move. Abarth re-engineered the standard 500C, giving it some unique features, great performance and a distinctively sporty style. 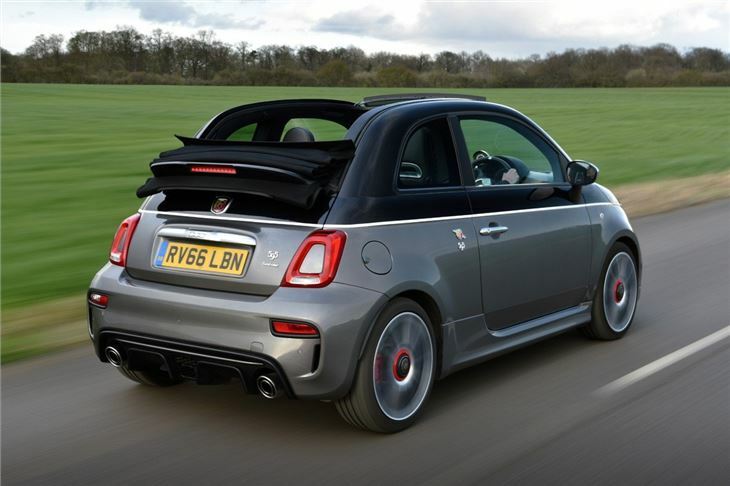 It's powered by the same 1.4-litre turbocharged petrol engine as the Abarth 500 with power boosted by 5PS to 140PS. 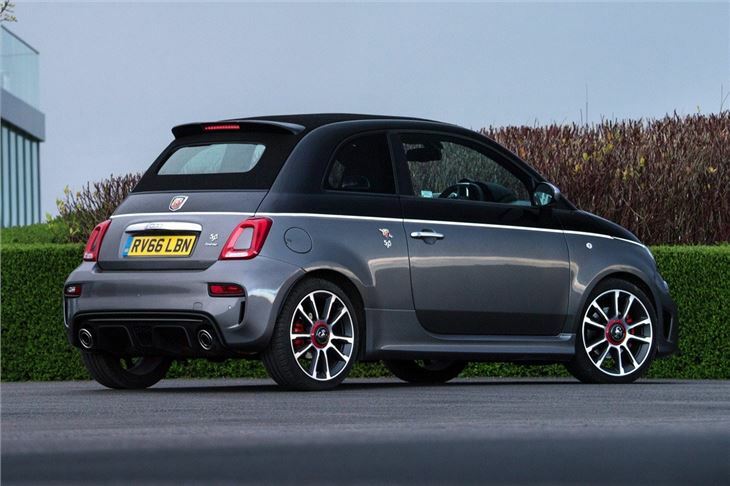 The buzzy engine gives the Abarth 500C great performance and it is a hugely enjoyable engine to drive, with a great exhaust note and plenty of low down poke. Of course, having the open-top 500 means you're able to appreciate that racy sound even more and in the summer, with the roof down, it's a real feelgood car to travel in. It's not all show and no go though. 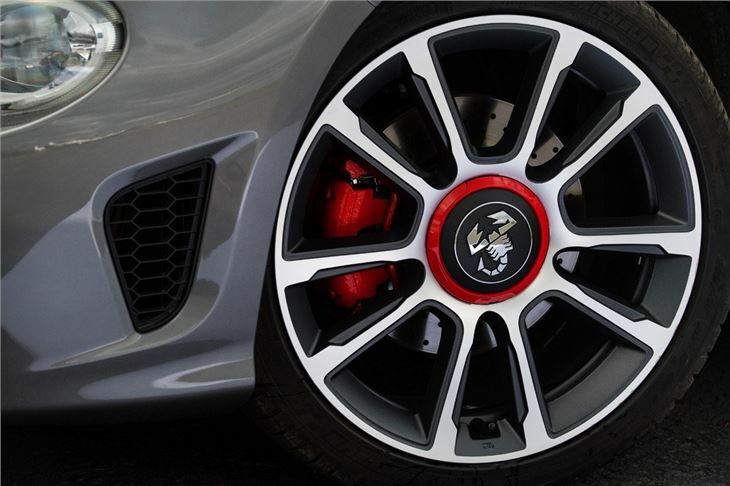 Along with the turbocharged performance, the Abarth 500C has re-tuned suspension to deliver agile and precise handling. There's also a new system called TTC which mimics a limited slip differential and makes the Abarth 500C sharp into corners, helped by very little body roll. Unusually, the Abarth 500C wasn't immediately available with a manual gearbox. Instead it started off with a five-speed semi-automatic Competizione gearbox which dispensed with the traditional gearlever and replaced it with buttons on the dash along with gear shift paddles on the steering wheel. 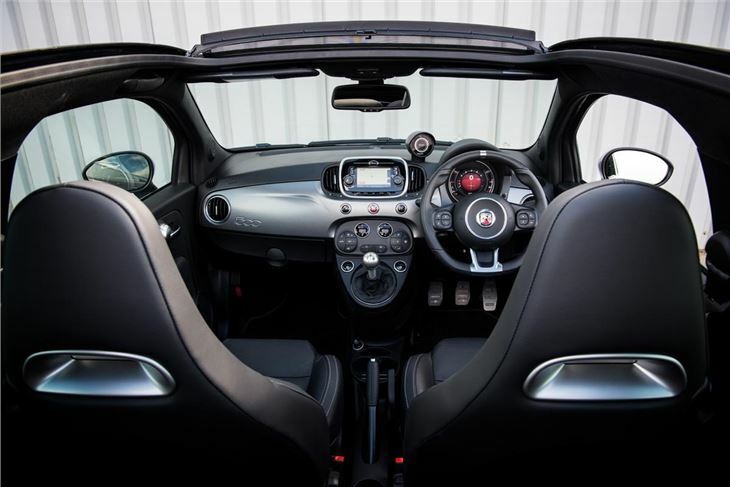 The cabin of the Abarth 500C is as sporty as the outside with some unique features and a great hot hatch feel. 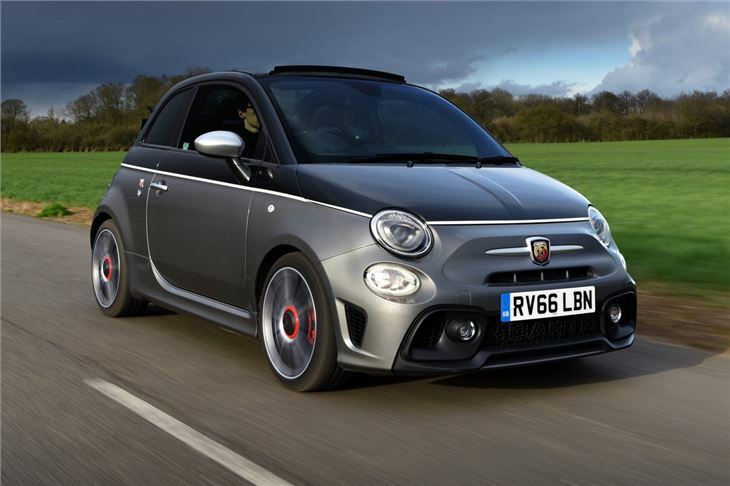 And for those seeking the ultimate Abarth 500C there's also an optional esseesse pack which boosts engine power to 160bhp, speeds up the gearbox shift times and adds larger alloys.